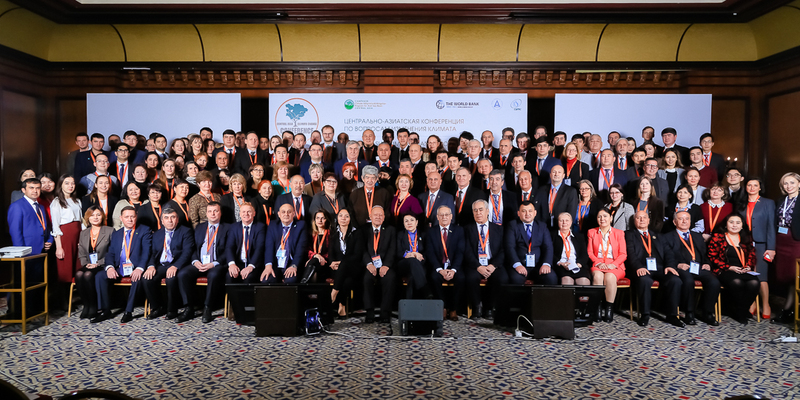 On 24-25 January 2018, the UNESCO Almaty Office participated in the Central Asia Climate Change Conference organized in Almaty, Kazakhstan, by the Regional Environmental Centre for Central Asia (CAREC) with the support of the World Bank. The Conference aimed at fostering regional dialogue, knowledge and information exchange on adaption to climate change, exploring opportunities for joint actions among international, regional and national stakeholders and building a common vision towards climate resilient future. The event brought together about 200 participants, including representatives of governmental and non-governmental agencies, academia, development partners and international organizations working in the field of climate change. The UNESCO Almaty Office contributed to the Conference Session 2 on Science aimed to present key findings of the latest climate research and vulnerability assessments conducted at the global, regional and national levels. Over 30 UNESCO programmes in the sciences, education, culture and communication contribute to creating knowledge, educating and communicating about climate change and to understanding its implications for present and future generations. Under its Climate Change Initiative, UNESCO helps Member States to mitigate and adapt to climate change, to educate for sustainable development in the context of climate change, to assess the risks of natural disasters due to climate change, and to monitor the effects of climate change on UNESCO Sites (e.g. World Heritage sites, biosphere reserves and geoparks). UNESCO promotes the continuous strengthening of the interdisciplinary climate change knowledge base of high relevance to climate change mitigation and adaptation, including generation and use of sound and unbiased data, information and early warning through climate change research, assessments and monitoring.